Nobody is perfect! If you’ve made a debt-related mistake (or several), you’re probably wondering how to fix your credit and improve your credit score. We’ll walk through seven common mistakes and discuss how to rebuild credit. Plus, we reveal two methods that won’t help repair your credit. There are three major credit reporting agencies—Experian, TransUnion and Equifax—and you can check each agency’s report once a year for free. Checking your own credit report will not impact your credit score. It might be uncomfortable, but you’ll need to come face-to-face with any mistakes that are included on your credit report. Once you know what’s hurting your credit, you can start to repair it. 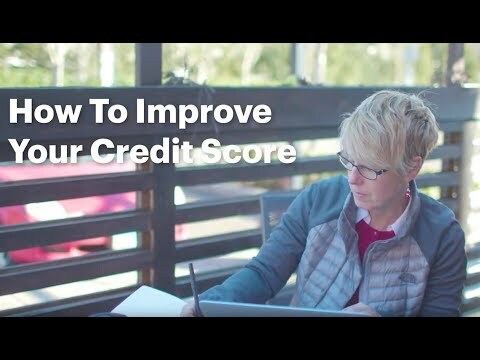 Regularly monitoring your credit will help you understand the factors that influence your score and see how your rebuilding efforts are paying off. It’s easy to keep track of your credit score and the key factors that impact it through Upgrade’s Credit Health – a suite of free credit monitoring and credit education tools. If you’ve had some credit slip-ups, you might have heard about “derogatory entries” or “negative records.” Credit report information is managed via a code system, and certain status codes are considered derogatory because of their significant negative impact on your credit profile and credit score.1 The most common derogatory entry is for late payments; the codes for other serious credit mistakes—like repossession or bankruptcy—are also considered derogatory. Payment history heavily influences your credit score. In fact, it is the most influential factor for FICO and Vantage2 —so late payments are a mistake you’ll want to address right away. Late payments are typically reported according to the number of days past due: 30, 60, 90, 120, or 150 days late. As your payment gets later, it becomes increasingly harmful to your credit score—so a payment that is 90 days past due is more damaging than one that is 30 days past due. What if you’re really late? After 180 days, a lender might “charge off” the debt. You still owe the money, but the lender has taken it off their books. Lenders can also choose to send or sell severely past-due debts to a collection agency. Having an account “in collections” is one of the most undesirable items you can have on your credit report. Make the payment(s) ASAP. Remember, your credit score incurs more damage the longer you wait. If you’re dealing with a debt collector, there are unique issues to consider; it’s important to know your rights and how to respond appropriately. To stay on top of your payments going forward, set up a calendar reminder or enroll in automatic payments. The on-time payment goal applies to all your bills, including utilities, rent and cell phone service. Credit utilization—which measures the balances you owe on your credit cards relative to the cards’ credit limits—is another key piece of your credit score. The general rule of thumb with credit utilization is to stay below 30%.4 This applies to each individual card and your total credit utilization ratio. If you’ve been maxing out your credit cards, it will show up on your credit report and affect your credit score. How to repair it The simplest way to remedy high utilization is to pay down your credit card balances and avoid charging too much on your cards. Other tactics, like asking for a higher credit limit and making multiple payments each month, can also help. Credit card companies generally send information about your balances and limits to the credit bureaus once a month, so high credit utilization can be resolved relatively quickly. Hard inquiries occur when a financial institution—like a bank, credit card company or mortgage lender—accesses your credit report because you are applying for credit. Each time you take on more debt, the risk that you won’t be able to make all your payments increases. As such, your credit score will generally decrease when a hard inquiry is submitted because it indicates you are applying for new credit. A single hard inquiry won’t heavily impact5 your credit score, but applying for several credit cards within a short time frame, for example, can have a more significant impact. You can also slip up when shopping around for the best interest rate on a mortgage, auto loan or student loan. Credit scoring companies will treat multiple inquires for the same loan as just one hard inquiry—but only if the inquiries are within a certain window of time (usually 14 to 45 days). If you spread your applications out over too many weeks, your credit score could reflect multiple hard inquiries. How to repair it Be patient. Hard inquiries stay on your credit report for 24 months, a relatively short-lived impact, and your credit score will usually return to its pre-inquiry level within about six months. Learn more ways to protect your credit score when applying for credit here. Some loans are “secured” by an asset like a house or a car, which means the lender can seize the item if you stop making payments. A repossession or foreclosure will stay on your credit report for seven years. How to repair it While foreclosure and repossession are very negative credit events, their impact on your credit score will lessen over time. After a home foreclosure, some lenders require a waiting period6 of several years before you are eligible for a new mortgage. In the meantime, focus on adding positive items to your credit report by making on-time payments on your other debts. You can also work on paying down debt and building better money habits to bolster your credit score. Bankruptcy is a complex legal process that gives you the ability to discharge all or part of your debts. Of all the things that negatively impact your credit score, filing for bankruptcy is one of the most serious. How to repair it There are generally two types of personal bankruptcy: Chapter 7 and Chapter 13. Chapter 7 stays on your credit report for 10 years; Chapter 13 for seven years. Like all negative records, the impact will fade over time, but the recovery period can be substantial. To start adding positive information to your credit file after bankruptcy, try a secured card. A secured card requires you to deposit cash upfront as collateral for your charges. Not all secured card issuers report payment activity to credit bureaus—so be sure to pick one that does, so you can continue rebuilding your credit. If you haven’t been paying your taxes, the government can put a lien on your property and assets. A tax lien is considered a serious credit event, but not all liens will appear on your credit report. The major credit reporting bureaus recently decided7 they will include only liens which meet certain identification and verification standards. Pay your tax debt. Unpaid tax liens can stay on your credit report indefinitely, and paid tax liens stay for seven years from the date of payment.8 After you’ve paid the taxes, you might be able to request a “withdrawal” which would remove the notice of lien from your credit report. As you’re taking stock of your credit report, you may find that there’s a mistake on your report that isn’t your fault, so watch for inaccuracies and errors. If you catch something inaccurate on your report, follow the steps to dispute the error. All three bureaus allow consumers to submit a dispute online, over the phone or by mail. If you have several late payments, disputing one account which is inaccurately reported likely won’t fix your credit immediately—but every little bit can help, so be sure your credit report is accurate. While it’s beneficial to keep your credit card balances low, switching entirely to cash and debit won’t help your credit history. Cash and debit transactions don’t help you establish a history of repaying debts. Payday lenders generally don’t report to the major credit bureaus9—so making on-time payments won’t help your credit history. On the flip side, if you can’t repay your payday loan and the lender sends your account to a debt collector, the collector might report to the credit bureaus—which could hurt your credit history. Want to learn more about improving your credit score and achieving your financial goals? Visit Upgrade’s Credit Health Insights. Vantage optimal credit utilization ratio. Recent changes to tax lien treatment by major credit reporting bureaus. CFPB on payday lenders and credit score.